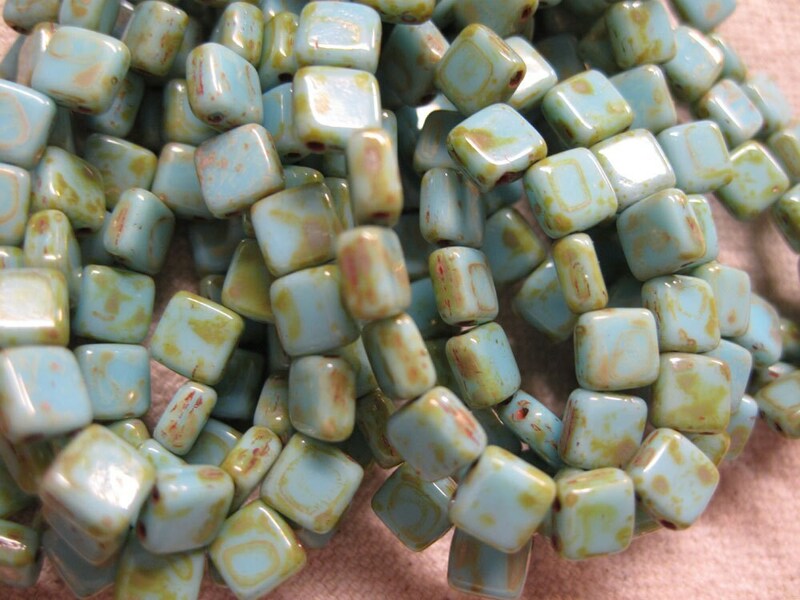 Sky blue picasso two-hole tile beads, 6mm x 6mm have one side that is coated and the other side is transparent. Made in Czech Republic. 25 beads per strand. Great Item!!! Great to do business with!! Thanks!! !